Recently I have heard about many people who have been trying out smoothie diet. The people who I have talked to about the new smoothie diet have had some mixed results. In order to help out I would like to give some good smoothie recipes and also other pointers for people on a smoothie diet. The smoothies below are mainly from a low carb diet such as the keto diet but you can use these smoothies just like they are for any kind of smoothie diet. However you need to remember that since these recipes are mainly meant for a low carb diet they will be quite high on fat. 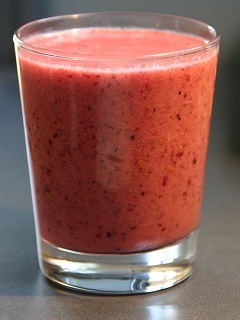 Many people who try out the smoothie diet is focusing on smoothies mainly from fruit. This is working for some people but I believe you will get better results by trying out these smoothies. Normally a low carb diet will give you faster results and a quicker weight loss compared to many other diets. Another reason that many people use a smoothie diet is that it is so easy to prepare and eat a smoothie. All it takes is a couple of minutes and the smoothie is done. This smoothie is one of the best tasting smoothies I have done. The additional salt in the smoothie can of course be skipped but if you feel you normally have a low intake of salt I recommend to add some. It also brings out the flavors a little. You can also try it with different kinds of berries. Do not always use strawberries. Other berries such as blueberry are also great in this smoothie. Another simple way of making a smoothie is to use some protein powder that already contains flavors. There are many different flavors available such as blueberry, chocolate, vanilla and strawberry. Try out to mix with some different kinds and choose the protein powder you like the most. The protein powder can be mixed together with the above recipe. 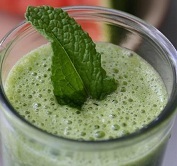 This smoothie is a little more complex to make and personally it is not one of my favorites. The main reason I do not like it so much is since I do not really like avocado. I have however heard from other people that they really like it so I include it here. All you do is put all the ingredients in a mixer and run it until it has been well mixed. The n it is ready to drink just like it is. The ice can of course be skipped but adds a little extra feeling. Those were all the smoothie diet recipes that I had for this time. If you have some more recipes you would like to share feel free to add them in the comments section. Below are some of the best resources to get more smoothie diet recipes. One Response to "Smoothie diet recipes"
These smoothies look great. Did you lose weight from drinking these? How do you feel about low fat coconut milk instead of regular?